in my opinion...: John McCain: "life isn't fair"
John McCain: "life isn't fair"
Channeling his inner 6-year-old today Senator McCain said "life isn't fair" because the voters are rejecting him and his dim running mate. Hey, Senator! 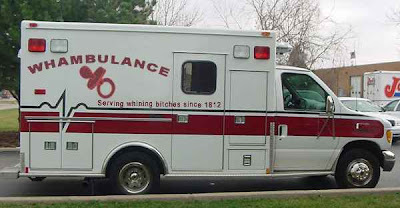 Your ride is here!